With impact on key sectors like agriculture, water resources and economics, climate plays an influential role in human life cycles. People and economies in Africa and Asia depend on rainfall for many purposes. Variations in duration and quantity of rainfall bring profound impacts on water resources, human life, economies and ecosystems. Extreme events such as floods, droughts and cyclones affect lives and livelihoods, and often result in millions worth of damages. El Nino - Southern Oscillation (ENSO) is the primary source of inter-annual variability in climate for the Southeast Asia region. Pacific Decadal Oscillation(PDO) has also got a strong correlation to climate variability. There is growing awareness of the potential use of seasonal forecasting for medium-term planning and model analyses of decadal scale changes in climate variability. Such forecasting processes need historical climate data in order to conduct analyses. 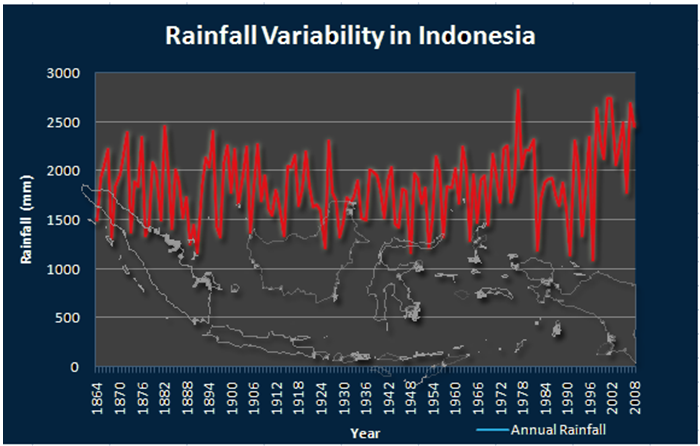 RIMES carries out extensive rainfall analysis over Asia and Africa with data from various sources such as TRMM, GPCP, NCDC, and from National Meteorology Departments, to identify climate variability and its impacts. This area of work is designed to understand how and why climate varies. 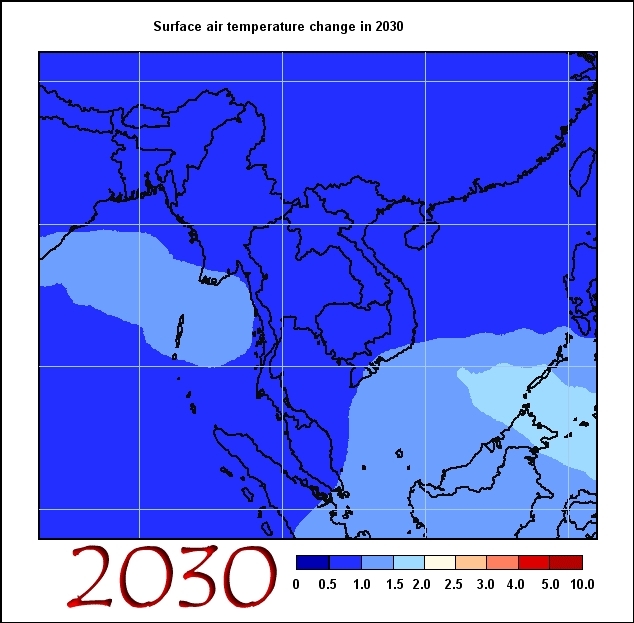 It involves developing modeling capability to estimate how the climate will change in the future, as well as developing climate projections for both research and long-term planning. Standard global datasets like the Climatic Research Unit (CRU) of low and high resolutions are used to compute correlation statistics and climate diagnostics to profile the GCMs. Other observed global datasets, including satellite derived data-sets of precipitation, sea-surface temperature and sea-levels. RIMES is developing tools, models and methods to enhance the scale and relevance of climate information from global scale (coarse resolution) to regional and local level (finer resolution) for assessing potential climate impacts among Member States. 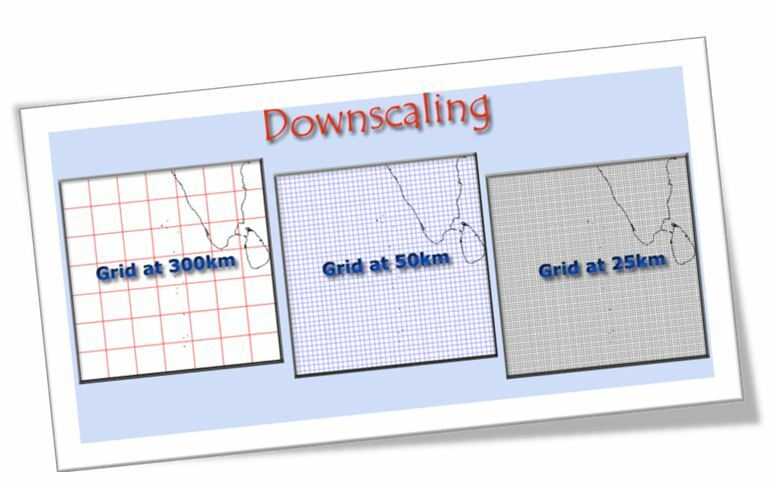 The demand and need for climate downscaling at higher resolution is increasing because of its importance in estimating the potential impacts of climate change, and will be useful in national planning. Statistical: statistical relationships between the large-scale climatic state and local variations derived from historical data records.